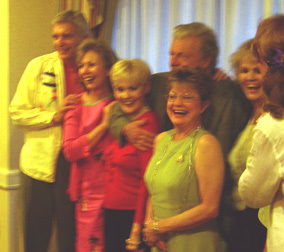 Each year, Dark Shadows fans get together to meet each other, watch DS episodes and specials on a big screen, and see members of the cast at Dark Shadows Festivals. Authorized by Dan Curtis Productions, these annual Festivals usually alternate between New York City and Los Angeles, although sometimes the action is changed to a special venue like Las Vegas. The 2005 Festival is scheduled for August in Hollywood. Click here to visit the official Fest site for more information. 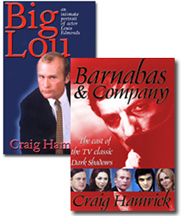 Lara Parker has attended many Festivals. "In the beginning, at the conventions, we would be swarmed by fans," she told me in the early 1990s. "They would practically knock us over. Now the fans are much less impressed, (she laughed) and much more polite." "I've often said that if the show were any more popular, we wouldn't be able to go to these conventions, and if it were any less popular, we wouldn't have ever had them, " Lara continued. "We're sort of in that strange arena of being able to have contact with the people who love the show and have really enjoyed watching us. We meet them and talk to them. A lot of them I've gotten to know. They come back every year, and they're friends of mine. I've seen them grow up and stop being pimply teenagers and go out into the real world and get real jobs, and it's been interesting." 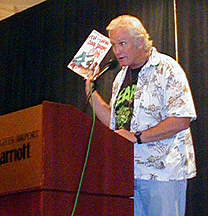 Christopher Pennock (Jeb Hawkes) talks to a DS Festival audience about one of the comic books he has written and illustrated. 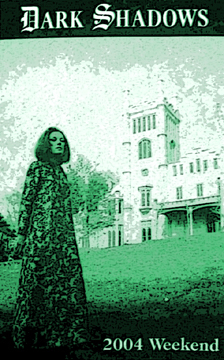 Last summer's annual Dark Shadows fan gathering had a new name and a smaller crowd than in past years, but for the 1,000 fans and eight series stars in attendance, it seemed like old times, as we again celebrated our affection for the classic Gothic soap opera. 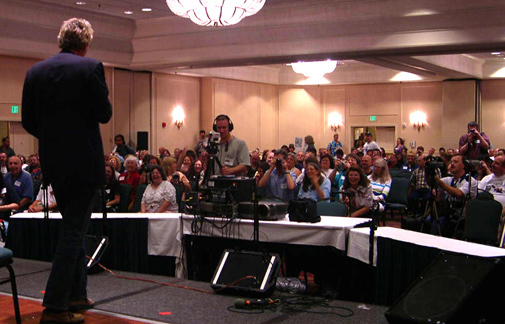 Click here to read about the event and see exclusive behind-the-scenes photos. Read about Nancy Barrett's musical show at the 1998 Fest. See photos from the 2000 Fest. Visit the official Festival site.